The Ford Freda is still very well specified in comparison to the more modern Japanese MPV's and comes with automatic gearbox, power steering, front and rear air-conditioning, twin airbags, electric windows, and are available with a range of petrol and diesel engines all with either two or four wheel drive. Some have the AFT electric elevating roof, side and rear curtains and aero body kits, all can be fitted with our swivel front passenger seat, the only thing that the Freda has lacked over its other camper vans competitors, well no more. Pop up roof Calder Campers exclusive pop-up roof is extremely strong and water proof as you would expect, with its steel frame adding rigidity to the body making it stronger than the Ford original. The roof whilst adding height to the cabin also offers sleeping space for a further two people. Bed Calder Campers deluxe rock and roll bed for the Ford Freda comes with two three point seat belts and requires little effort to make it into a very comfortable bed and can be covered in a variety of cloth's, vinyl's and luxury leathers, the bed base is also useful as storage. 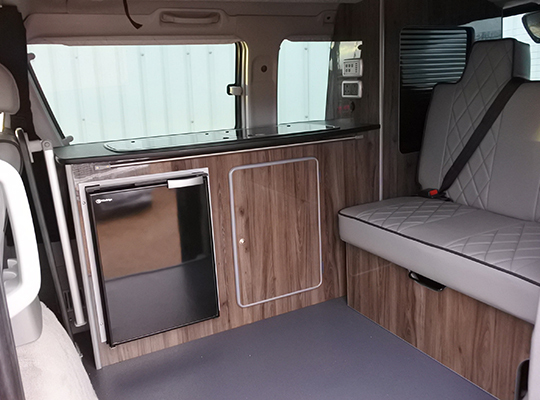 Construction Calder Campers use only the finest lightweight marine ply for our conversions, our durable ply is available in both hi-gloss and textured finishes, in a large range of colours allowing you to custom build your camper. Components Calder Campers use only premium components in our build, sinks, cookers, fridges and ovens from Dometic UK, power management from Sargent, LED lighting, twin 240V sockets, 12V sockets, leisure batteries, in fact everything you need for your camping getaway. Upholstory Calder Campers upholstery is available in a wide selection of cloths, vinyl's, ultra-leather and luxury leather hides, all stitched in a variety of styles. We also cover the front seats to match the rear rock and roll bed. 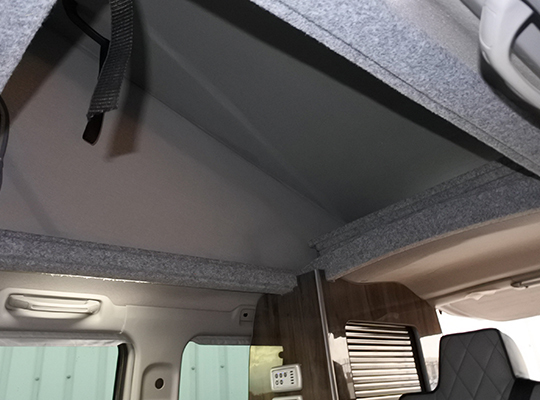 Heating As the Freda is built as a luxury people carrier and as such they are already fully lined and insulated at manufacturer for your comfort, however if you wish to camp all year round you may want to specify a propex hot air heater or a 12V blow air heater. Toilet facilities All Calder Camper full conversions have a built in cupboard where you may want to store a porta-potty, if the need arises. 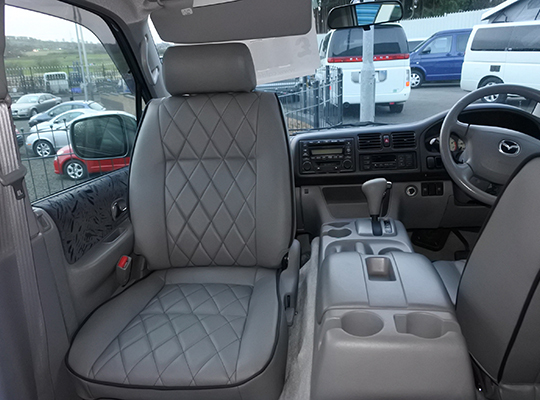 Our six seat full side conversion is becoming very popular due to its flexibility of a campervan, whilst still retaining six seats with seats belts. 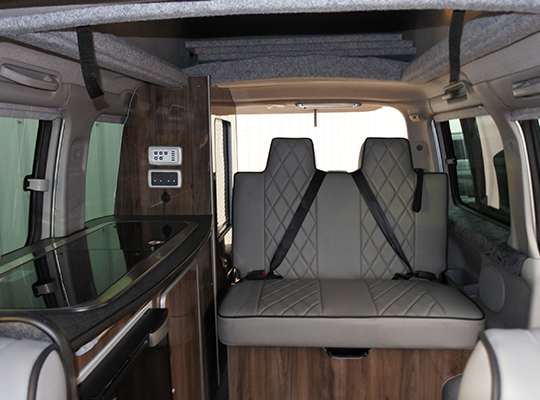 You can get the best of both worlds as a campervan and a MPV, all in the one vehicle, great for the larger family. 6ft level bed made up in around 15 seconds! Six Seater version available with middle swivel seats! 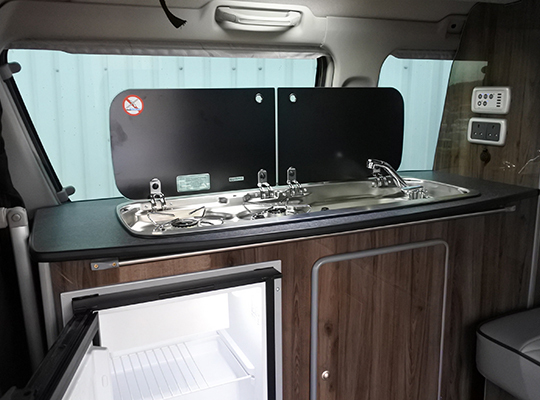 This conversion adds to the flexibility to the Freda as a campervan, MPV or van. It can be fitted to a twin top at a very attractive price or with a elevating roof or a high top fixed roof. It can also be removed if you wish in 10 minutes returning the Freda to a full 8 seater MPV. 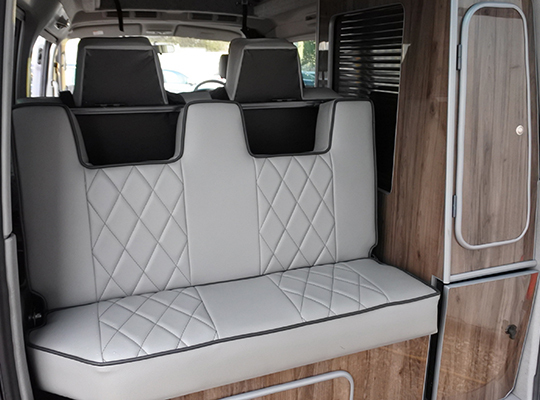 Fits along the back of the vehicle in place of the last set of rear seats, the middle remaining seat is turned around to face the conversion (can have the option to leave it forward facing) and the two side seats create a seated dining area for five! When the middle seat is facing the rear, lap belts can be used from the rear seat (now removed) and the existing one to create two rear facing belted seats. 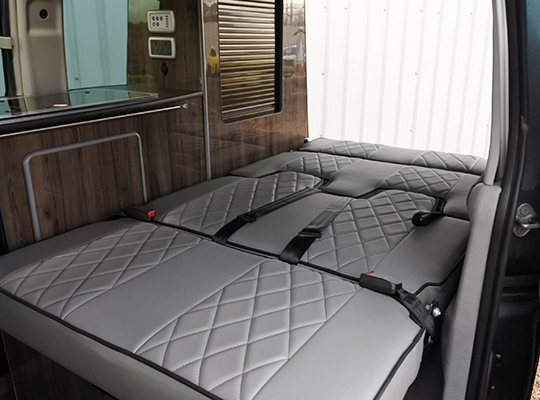 The bed makes up easily by lowering the table into the area between the two side seats, a cushion then goes over it, you then lay the middle seat flat to create the bed which utilises the full width of the vehicle! As you can see you can get a full width double bed and all the amenities you need for a relaxed camping holiday. Table with folding leg, stainless steel fixing rail and fixings. 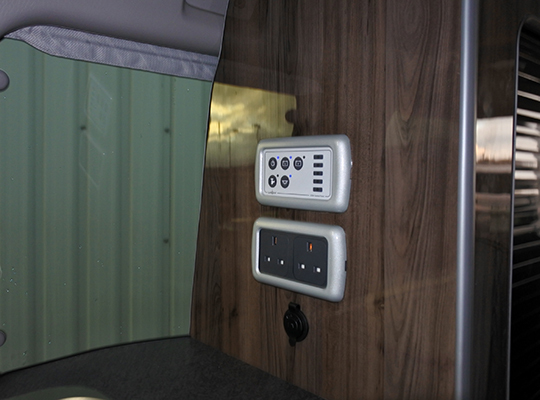 The rail can either be fitted to the conversion unit or to the side of the van.